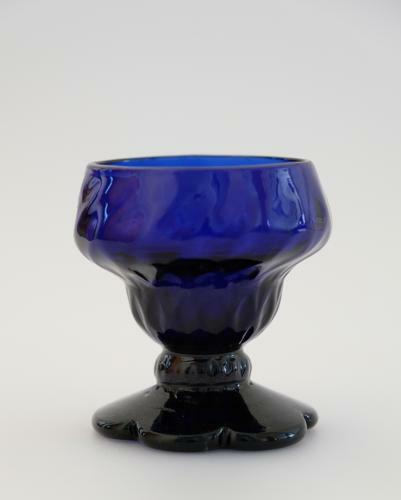 Blue bonnet glass with double ogee bowl and reticulated moulding on a petal moulded foot. English C1790. Condition: Very good with no restoratation.